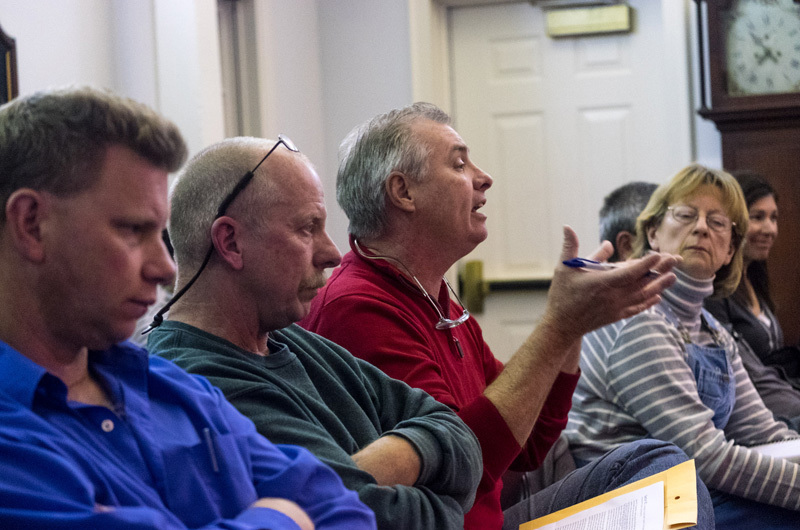 Vote to add fluoride to town water supply has stirred angry reaction among some residents. The decision about whether to add fluoride to Edgartown’s public water supply will now go before voters next April, following a successful petition effort by residents. The Edgartown town clerk’s office confirmed Wednesday that a petition had been certified with enough signatures to place the fluoridation question before voters at the annual town meeting next spring. 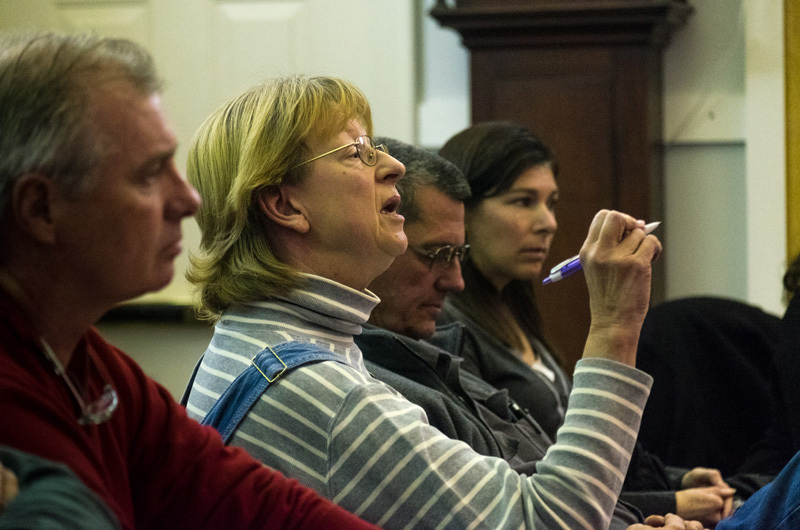 The question will require a vote on the town meeting floor and by ballot at the annual town election, assistant town clerk Karen Medeiros said. Meanwhile, at a meeting Tuesday, the Edgartown board of health stood by its vote last month to take steps to add fluoride to the water supply. The vote has sparked heated debate at meetings before the board of health and water commission in recent weeks. Board of health members Harold Zadeh and Dr. Garrett Orazem reaffirmed their Oct. 10 vote to fluoridate the town water supply. The third board member, Kathie Case, abstained from the original vote and was not at the meeting. The board’s decision was published Oct. 20. Under state law, town voters then had 90 days to gather a petition to bring the matter before town meeting. 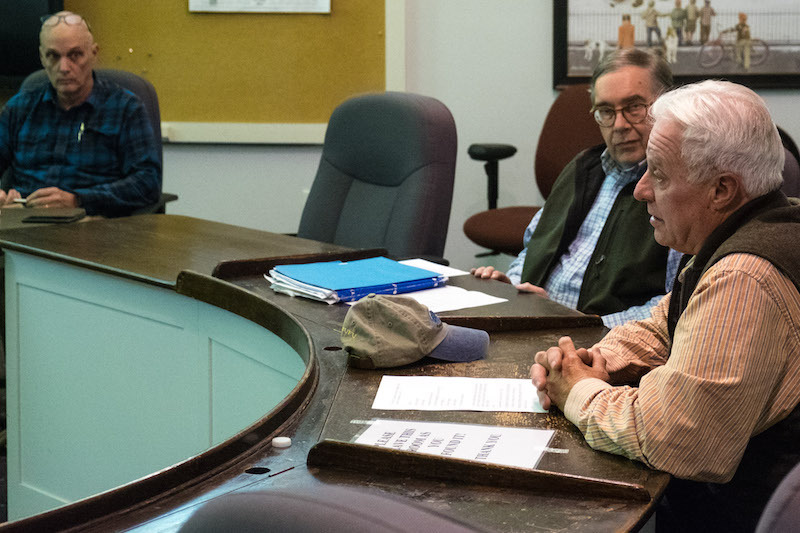 And while the successful petition ensures a binding vote in the spring, members of the town water commission and other residents at the meeting Tuesday again called on the board of health to rescind its vote. Critics have cited both concerns about the health effects of fluoridation and what they claim was a flawed process. Board of health members have said the decision was in the interest of public health because fluoride is well established to reduce tooth decay, and that they welcomed a town vote. About 15 people attended the meeting, including two Island dentists who said they back the board’s position. Town health agent Matt Poole said Tuesday that town counsel had advised the board against rescinding the vote. Mr. Zadeh began the meeting by apologizing for not involving the water commission earlier in the process. Water commissioner David Burke, who led the petition initiative, said discussion about fluoride should have taken place earlier. “We’re looking for opportunities to be educated. Education should have taken place before the order . . . They should start by educating us,” he said. “What else is good for us that could be put in the water,” Edgartown resident Maria Thibodeau said, pointing out that vegetables are healthy, but eating them is a choice. Debra Gaines said she found a study that linked fluoride to cognitive difficulties, and questioned whether it contributed to the rising rates of obesity in the United States. But Dr. Bruce Golden, a pediatric dentist in Vineyard Haven, said a long list of organizations, including the American Medical Association, have found that fluoride is safe. Every doctor and dentist on the Island signed a letter of support for fluoride when Oak Bluffs was debating the issue several years ago, he said. “I have to think about all the families that need help,” he said, adding that he’s seen young children who have to put under anesthesia at the hospital to have dental work done. One person noted that Oak Bluffs is the only Island town that adds fluoride to its public water supply. “Then we have an awful lot of work to do,” Dr. Golden said. Tensions persisted. Toward the end of the meeting, Mr. Zadeh asked if Mr. Burke thought the board of health acted with forethought and malice. Mr. Burke said he did. “If that’s what you believe I will step down and you can take my place,” Mr. Zadeh said. He said the board had made the decision because they thought it was a benefit for the town. “So let’s move ahead,” he said, adding that now that the issue would be up to town voters to decide, information sessions can begin. 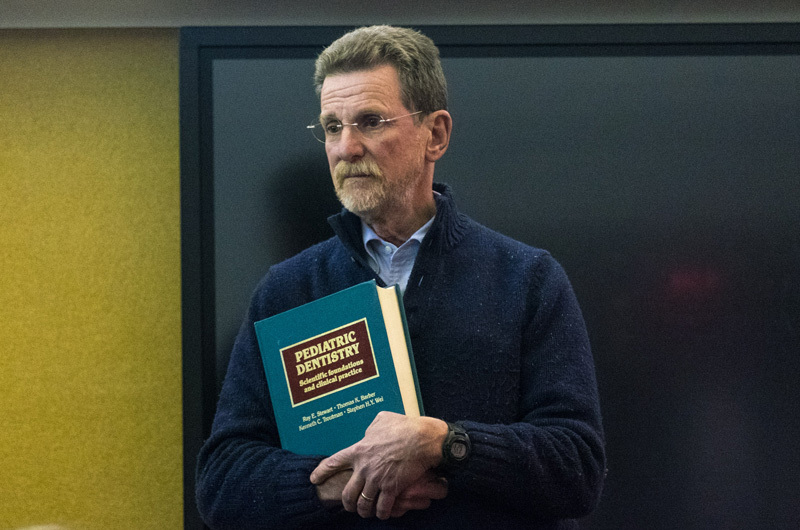 “Please, if there can be transparency,” Mr. Burke said. I would like to clarify that my statement regarding 71% of the adult population in the United States is overweight or obese was made in response to Dr. Golden's stating that 2/3rds of the US population is already receiving fluoridated water, therefore it would only be natural that we should as well. My point was meant to illustrate that being in the majority isn't necessarily the best place to be. Furthermore, the Vineyard does not tend to be a place that does things just because other communities do them. Completely insane idea. Vote NO. All schools offer dental care for children who need it - Vineyard Smiles - including Edgartown School. The cost alone is one reason to be against it. Hundreds of thousands of dollars to put fluoride into water - much of which literally goes down the drain via flushing and showers. The health of everyone other than working class children (an maybe working class children also) is another reason. The terrible method used to begin this process in the first place is another reason. The fact that a town shouldn't be held hostage by two people who voted, without any discussion, to try to put this into place is another reason. Studies that show that it doesn't actually help that much is another reason. Studies that show that it is actually harmful is another reason. How about the fact that many of those working class children probably have well water anyway so won't be getting the fluoridated water? That's yet one more reason.I could go on. How about a program that is supported by the town in which the working class children whose families want them to have fluoride get it in another form? Why make everyone have it because some may need it? My kids grew up in town and didn't drink fluoridated water and have fine teeth.I got fluoride as a kid and I had a ton of cavities in comparison to my own children. Keep fluoride out of the water. Sign kids up for Vineyard Smiles if they can't afford regular dental care and let the rest of the town citizens drink their non-fluoridated water. I'm working class. My children have great teeth. It's called brushing, and controlling sugar intake. Please don't turn this in to a socioeconomic thing. Are you a year-round Edgartown resident or a part-time Bostonian, too? What are you doing to increase affordable housing on the Island - do you rent your second home to a working-class family? Edgartown residents can be against fluoride in the water because there isn't proof that those "working class children" are going to be the ones who drink the water (and you seem to be suggesting that this measure won't impact the "not-working class" people with town water in their taps, who, what, can afford reverse osmosis filtration systems or might only be here on the Island for a few weeks a year? ), and there isn't even proof that fluoridating the water matters. Any scientist will agree that correlation is not causation. If it's an economic matter, then whether the cost of adding fluoride to the water is $64,000 (as the Times erroneously reported) or $640,000 (as initial estimates suggest), that's a whole lot of fluoride toothpaste and dental visits for families who need them. It's like Fox News voters are having their say in Edgartown -- reactionary, ill-informed, wrong. Or did Oak Bluffs voters drink the Kool-Aid? Please do not add fluoride to our wonderful Edgartown water. It is easy to get fluoride to developing youngsters in other ways. Parental involvement may be a sticking point, but if youngsters can get sodas, snack foods, candy, sugar, they can get fluoride. It may take a bit of education but it can be done. The effect of fluoride on adults and seniors is not really known. Yes, I have read the studies. I am one of nine children who did not have fluoride in the water, none of us needed braces and we all have our own teeth in our dotage. Please rethink this and do not go off on a tangent.